Non-surgical cosmetic treatments such as Botox and dermal fillers generate over £2.75 billion in the UK and account for over 75% of all cosmetic enhancements carried out each year. However, unlike its surgical counterpart which has clear and defined laws as to who can undertake procedures such as breast enlargement and facelift operations, the non-surgical cosmetic industry remains almost entirely unregulated; meaning that legally, cosmetic injections can be administered by ANYONE. 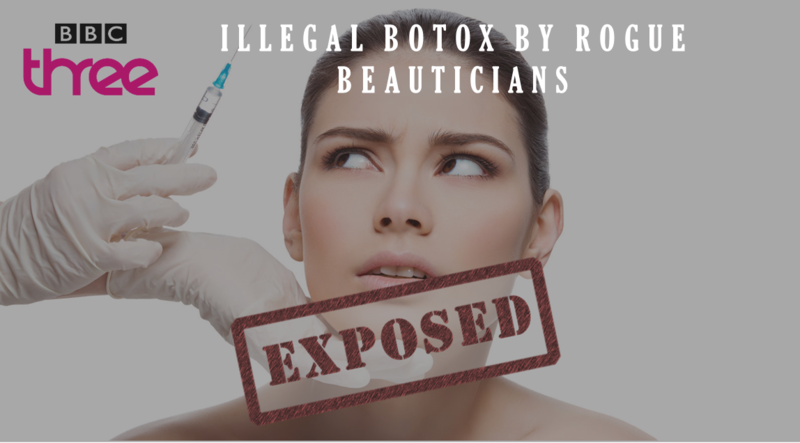 There are however strict laws around the consultation process for anyone undergoing a Botox treatment. Botox is a prescription only medicine which means that it should only be administered following a face to face consultation with a licensed prescriber who has assessed whether or not the person is suitable for treatment. Sadly, the lack of public awareness about this legal requirement has led to a huge increase in the number of procedures carried out without valid prescriptions. In the last 12 months, Save Face received over 934 patient complaints. Over 83% of the reports we received were regarding treatments that were administered by beauticians, hairdressers and other non-healthcare professionals. In over 68% of Botox related complaints, patients reported that they were not made aware that Botox was a prescription only medicine and did not have a face to face consultation with a prescriber. A staggering 39% did not have a consultation of any kind. Save Face was established in 2014 in response a government review which revealed the vulnerable position that patients seeking treatments find themselves in. As the demand for treatment has continued to increase, sadly, as have the number of unscrupulous treatment providers who flout the rules and display a total disregard for patient safety. Save Face is a government approved register of accredited practitioners who have all been assessed and verified against a robust set of standards in order to appear on our register. We undertake all the checks to ensure that practitioners are qualified, insured and use legitimate products which are sourced and administered correctly. Save Face work tirelessly to educate the public about making safe choices when selecting a cosmetic practitioner. We investigate rogue practitioners and work with the press and media to ensure that the issues are brought in to public focus to highlight the risks and complications that can occur when the rules are ignored. For the past several months, Save Face have been working alongside a BBC production team to highlight the shocking extent in the number of beauticians and other non-medics who offer same day Botox treatments without ensuring patients have undergone a face to face consultation in order to be issued with a valid prescription for the treatment. The programme, Ellie Undercover: The Botox Bust is available now on BBC Three. It shines a light on some of the practitioners that we have been investigating and gives an insight into how the rules that are put in place to protect patients are being broken and manipulated by unscrupulous practitioners for financial gain. We work tirelessly with the media to highlight the scale of the issues highlighted as part of this programme which emphasises why our register is so important to members of the public seeking treatment.